EXCLUSIVE! Freshly-ground pepper really does taste better. Inspired by the giant stone heads on Easter Island, this may be the world's most awesome pepper mill. 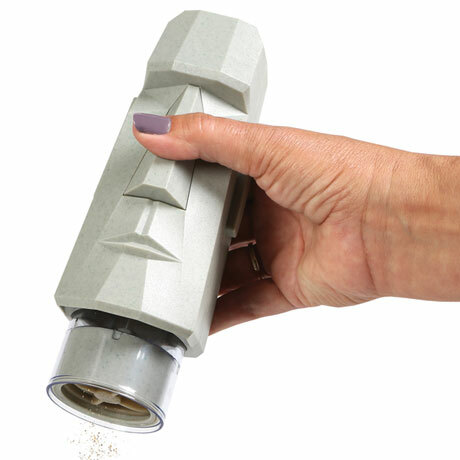 Fill it with whole peppercorns, grasp it in your hand, press down on the nose and the built-in electric grinder will do the work for you. 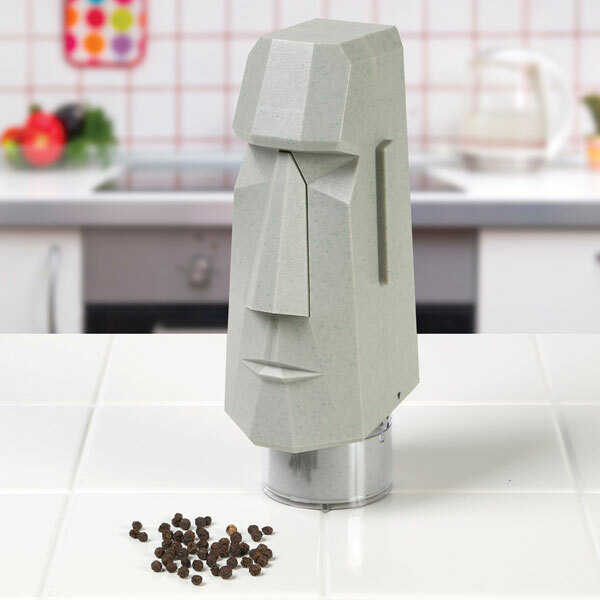 Plastic head with quality ceramic grinding mechanism. 7½" high. Takes 4 AA batteries (not included).